> Blog > How To Take Care of Your Car without Spending Big Cash? How To Take Care of Your Car without Spending Big Cash? As a student, you are overwhelmed with expenses. You can, however, save yourself a fortune in auto repairs with a few helpful maintenance tips. The smallest details can add up to your monthly student bill and even force you to put your beloved vehicle up for auction. 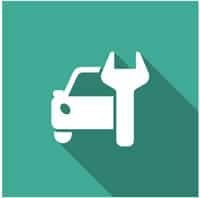 It’s very important that you understand the core basics of vehicle maintenance, whether you’re a car enthusiast or not. 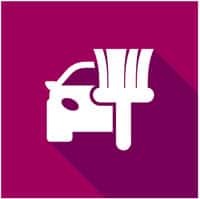 This article will help give you a better understanding of how to take extra good care of your vehicle at low to minimize costs. Fasten your seatbelts, here we go! Change Your Oil Regularly – Do you recall the last time you had the oil changed in your vehicle? You might want to think twice about having the oil changed every 7,000 – 10,000 miles in order to prevent the engine from overheating and eventually breaking down on the side of the road. 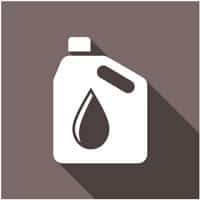 Oil is the lifeblood of any vehicle and it is extremely essential to the longevity of your engine. It’s also advisable to replace dirty oil filters, which can be done at the same time as the oil change. The filters must be changed to prevent clogging and sludge formation within the engine itself. 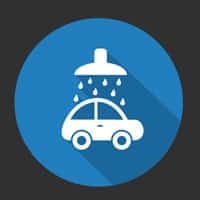 Wash Your Car – Your car is constantly subjugated to constant weather changes, which can cause grime and rust to accumulate over time. Bird droppings can also wreak havoc on your car and even strip the metal away, forcing you to repaint the vehicle entirely. Don’t wait until it rains to give your vehicle a proper and thorough cleaning. Although you can do it yourself, it is highly recommended that you bring your vehicle to a professional car wash shop instead. The cost of a car wash is about $5 and most service stations will also provide a temporary shining wax at no extra charge. Change the Air Filters – One often overlooked aspect of proper vehicle maintenance is the changing of old and dirty air filters. New filters can drastically improve gas mileage and reduce emissions. Air filters should be changed every 12,000 – 15,000 miles to help prolong engine life and ensure you get the most out of your money the next time you fill your tank up. Clean airflow also boosts overall engine performance and will save you a ton in repairs if the parts get clogged. The cost of a new air filter will typically run you between $15 – $20. Clean the Inside of Your Car – Keeping the insides of your vehicle clean is just as important as the outer detailings. Make sure you throw away any food wrappers or soda cans to prevent staining on upholstered car seats. You can use an air hose at your local service station to get rid of all the crumbs and debris from the backseat and underneath the floor mats. The cost is nothing more than a few minutes of your time and about $1 for the air hose. As you can see, there are many helpful and cost-efficient maintenance tips you can follow on your own. But there might be instances when you will require an emergency tow or roadside repairs. Towing Austin Pros is your go-to choice for all general towing services and 24/7 emergency roadside coverage. We’ll be by your side when you need us most. We and our licensed affiliates can assist with any type of vehicle tow, ideal for college students that are relocating to another part of town. Call us today for a fair estimate and to learn more.